BLOG: Are you guilty of self-sabotage? While we already have some AWESOME teams signed up, gearing up, and getting ready to battle it out, there are still quite a few people who remain on the fence. I’m not writing this to call anyone out, and this is certainly not the first time I’ve heard answers like this before. What’s interesting to me is that I honestly don’t think people know what they are REALLY saying when they talk like this. WHY is that? IF you truly want to make a change in the way you look and feel for the rest of your life, then why would you be worried about any of those things? Well, the honest reason is that you already have it in your head that you are NOT going to follow through. You are already projecting “future you” failing at your plan, stepping on that scale the exact same weight (or even heavier) each week, and apologizing to your accountability partner for not holding up your side of the bargain. Taking a loss before the game has even begun! 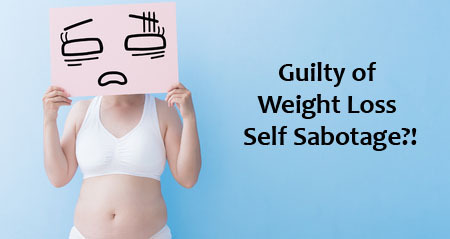 If you avoid any weight loss plan because you’re worried about your accountability check-ins, it’s because you already think that you won’t stay accountable…That’s self-sabotage! The fact of the matter is, no matter how fancy, or fun, or quick, or awesome a weight loss program is, you have to enter with the proper mindset to succeed. You need to SEE yourself being successful. Decide that success is the ONLY outcome you will accept. No matter what obstacles or struggles you will encounter, you WILL find a way to get through them. THIS mindset is how weight loss goals (or quite frankly – ANY goals) are achieved. 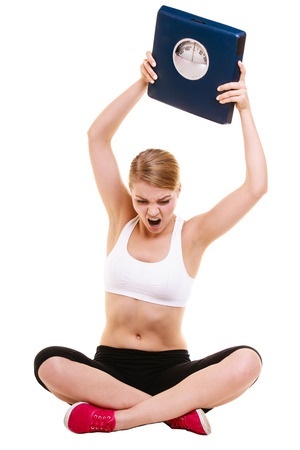 Whether or not you decide to join our 6-Week Weight loss Challenge (and of course we would LOVE to have you J ), you take a different approach to your fitness goal, or are planning on completely different goals for the future…Make a promise with yourself that you will NOT enter in to your journey already defeated. YOU ultimately have control of your own success or failure through the mindset which you develop. P.S. IF you would like to read more info about our Weightloss Challenge starting next Saturday, October 21st, click here to download our flyer for more details. You can respond to this email or give us a call at 239-596-6200 for pricing info and to get registered!